Designer Daisuke Obana was inspired by Arizona. This season, the N. Hoolywood designer Daisuke Obana delivered a lineup inspired by Native American artist T.C. Cannon. N.Hoolywood Spring/Summer 2019 New York menswear collection discovered during a recent trip to Arizona. Pointing to an array of blanket-like pieces, often paired with matching oversize shorts. This graphic inspiration was seen in everything from cropped bomber jackets and knitwear with fringe across the chest to oversize pants. 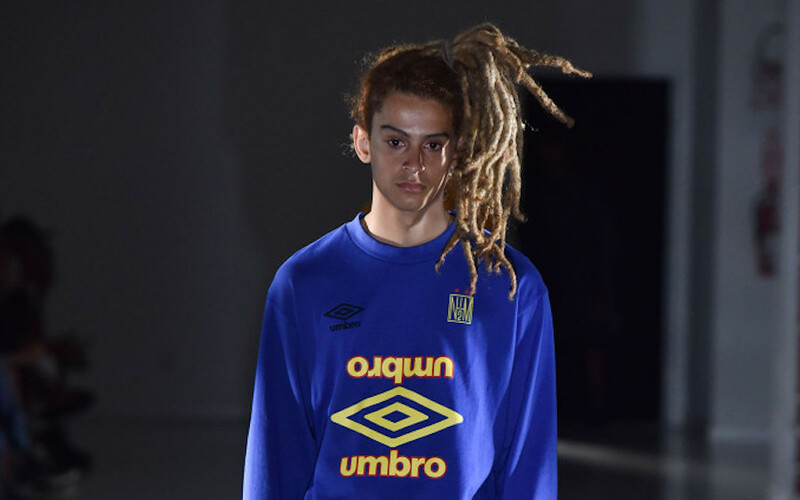 An added surprise was Obana’s collaboration with sportswear brand Umbro. It spanned logo T-shirts, long-sleeved soccer jerseys and elongated coats adorned with oversize. Umbro logos done up in bright colors with vertical lines that tied back to Cannon’s paintings.